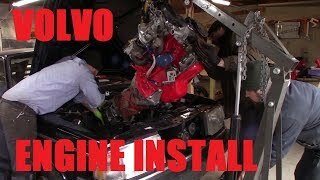 Finished getting the B230 ready and installed the turbo. We decided to drill and tap the block in the stock location instead of drilling the oil pan and welding on a bung fitting for the turbo oil drain. We also decided to utilize the npt plug on the front of the block instead of installing a tee fitting on the oil pressure sensor. Put on several new parts including timing belt, water pump, intermediate shaft seal, camshaft seal, crankshaft seal, rear main seal etc. How long did it take to assemble the engine? 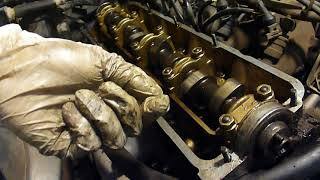 We just stripped it down to a long-block and changed out seals, gaskets, water pump, belts etc. If you have the engine out on a stand and you don't take the head off and tear into it you can refresh everything in just a few hours. 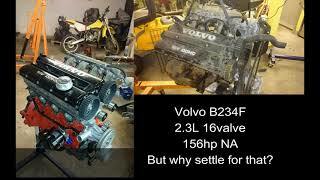 Is that the standard sump or a high capticity one steve uk Volvo freak. what you guys use for the replacement crank pulley ? 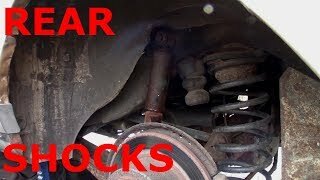 Just another stock one from a parts car. 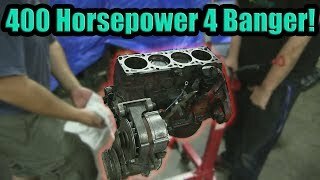 So, how many horses on that slug after turbo install? I am just curious. Mainly because we had easy access to the hard line and fittings. Braided line would probably have been easier to do. 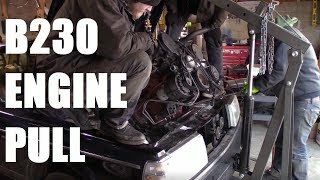 I am adding a turbo to my 1992 Volvo 240 b230. 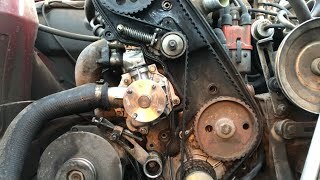 Is there anyway to get to that plug you used for the oil feed without taking the motor out? I couldn't seem to find it by just looking down in the engine bay. And yalls was a 1/4" plug? It's kind of hidden between the water pump and alternator. You may need to move the alternator and bracket out of the way to get to it. Why didn't you guys get a 531 cylinder head while you were at it? It has better airflow and would pair very well with the turbo. +Clapped Out Garage I guess that makes sense. I would've preferred a VX cam though, but maybe that wouldn't be as efficient with a turbo. Anyhow, performance isn't everything.. until you take a sick day and end up getting annoyed by the clock aggressively ticking away. Would have liked to do that but we didn't have a good one to use. This was a relatively quick swap so we didn't get too carried away squeezing out all the performance that we could. As you notice, we don't even have a T cam in it. Why not the marine oil filter ? The block is from another NA 240, so it doesn't have the oil squirters unfortunately. It should still last a while as long as we don't turn the boost way up. Im digging this other than mechanical parts.. turbo, hoses intercooler etc. What other thing u did about the mapping, computer etc.. When the entire sole comes off a boot, it must be a Red Wing. ACTUALLY the boots in this video are timberlands. I am actually a huge fan of Red Wing boots as they are the only brand that I have found will actually last me more than 6 months without falling apart. Specifically, I wore the 3507 for 4 years until the toes were too beat up to wear anymore, never re-soled them. I also have a pair of Red Wing shoes that I've worn for over 6 years and only re-soled once. I used to walk 1 mile to work, be on my feet all day long, and walk home in those shoes. All other brands of shoes and boots I've tried have been very disappointing. Right now I'm wearing a pair of Wolverine boots and after 6 weeks the leather is torn and falling apart. Of course, my Red Wings were made in the USA and cost twice as much as anything else I've ever worn, but I'm beginning to think they are worth it. Where did u guys get all the seals and gaskets? Also the turbo lines? 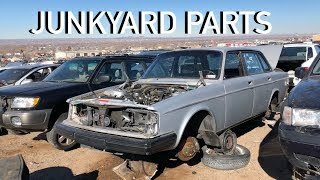 Do u guys have a specific website to buy all ur Volvo parts? We shopped around a little bit for the best prices and brands. 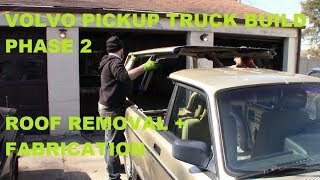 We use FCPEuro, IPD, and sometimes rockauto. Occasionally we will get something at a local parts store or off ebay. Lots of variables here, it's hard to say what you would get. 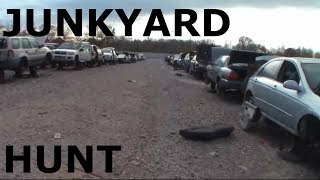 A stock b230FT gets around 160 so I would say that would be ballpark. My only admonition is that you consider a different transmission. Look for an AW71 to swap in if anything. There are a ton of options. 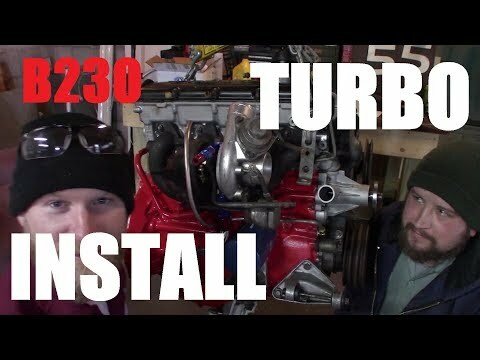 Check out sites like turbobricks for some good info. This is the same for an S80 right? Unfortunately no, they didn't put redblocks in those. Totally different engine. 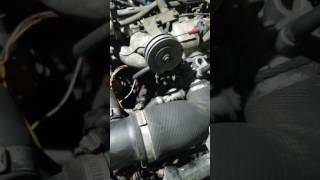 Any help on how to do a ac delete? 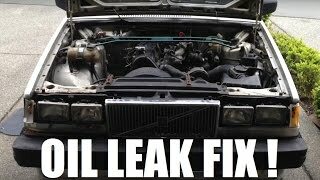 I just pulled my engine from my 240 and I want to do an ac delete, any tips on how? Love the channel! 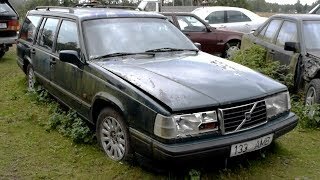 U guys make me want to start filming my Volvo? AC Delete is super easy. Before you do it you need to make sure the system is empty and not pressurized. If yours isn't empty you should have it depressurized at a shop. It's dangerous and harmful to release the vapors into the environment. You basically just unbolt the AC compressor from the bracket and unplug the wires going to it. Then you can disconnect the hoses going to the compressor and remove it. The condenser sits in front of the radiator and will have a few wires and hoses going to it. You can just disconnect those and pull the condenser out after you remove it from it's bracket. The receiver/drier sits on the firewall in most cases and you can use wrenches to remove it. 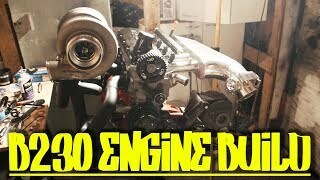 Check out our engine pull video around the one minute mark to see what I'm talking about. Around the two-and-a-half minute mark in that video you can see I used a big pair of bolt cutters to cut some of the AC lines. Makes removal super easy and you can get bolt cutters like that with a lifetime warranty for like $20. That's basically it. Nothing fancy at all. Super easy. 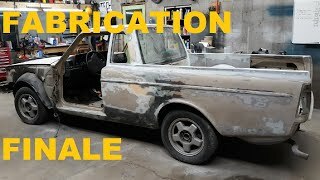 If your AC works you should keep it in, but if it doesn't there is no reason to keep it if you don't plan on fixing it or don't care about the re-sale value of the car. Be careful and have fun. 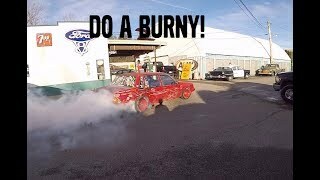 You should film your Volvo projects too, man. Maybe make a video on how you do the AC delete for your first upload. I think the exhaust manifold gaskets were backwards. The metal side usually faces the manifold. Oh nice. We also have a 242 that needs a world of work right now. Yep, keep up the good work and entertaining vids! 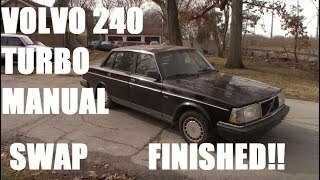 I just got a super clean 84 242 and have been watching different vids to get me in the mood for all of the upcoming work it needs. That is a good catch, man. 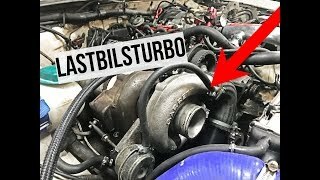 We realized before fitting the turbo that they were in backwards and switched them around. I didn't realize I used this old footage of me putting them in backwards. Good comment. Thanks. 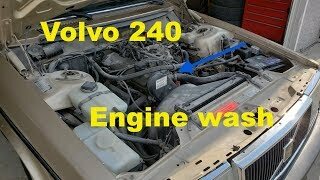 Volvo 240 Engine wash. Мойка двигателя Volvo 240. 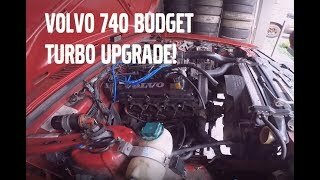 7500rpm built NA redblock volvo 740 street ripping !